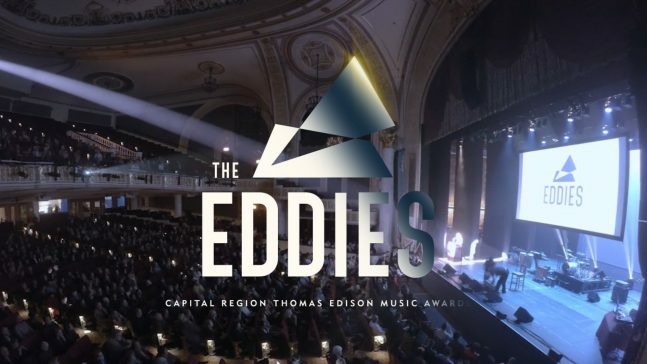 The inaugural Capital Region Thomas Edison Music Awards, will be cablecast in its entirty right here on Open Stage Media Over 60 luminaries drawn from the region’s talent pool—including club owners, sound technicians, educators, journalists and performers—judged 38 categories, granting Eddies to winners from a list of over 140 nominees (ranging from soloists and group members to teachers, engineers, deejays, photographers and others). The Capital Region's music community came out in full force . Music performed by ALEX TORRES AND HIS LATIN ORCHESTRA, BEAR GRASS, RICH ORTIZ, JOHNNY 2 PHONES, WYLD BLUE, NEW YORK PLAYERS. Live streams for Public Access, Arts and Education and Government.